Since I'm not much involved in the marathons, I thought I'd open my "Review Thread" here. Let's see what can be achieved. An out-of-the-way diner becomes the battleground for the survival of the human race. When God loses faith in humankind, he sends his legion of angels to bring on the Apocalypse. Humanity's only hope lies in a group of strangers trapped in a desert diner with the Archangel Michael. A movie that sadly is unable to decide what it wants to be: Splatter, Horror, Apocalyptic, Mystery, Thriller, Action, Romance all these genres can be found. In fact this movie seems to contain just about any genre except Comedy and Musical. While it has elements of them all it belongs to none, because it misses them all. The characters remain strangely underdeveloped, the plot jumps around in a way that is sometimes very hard to follow, many strings remain unsolved and/or unexplained. While watching this film I came to the conclusion that the original concept must have been for a movie with a running time of about 2.5 - 3 hrs, this got (for what reason ever) downsized to about 1.5 hrs. (equivalent to T2, which needed the "Director's Cut" to show it's full greatness). What remained is a random collection of good (sometimes even great) action and CGI sequences, which nevertheless always have a very familiar touch. What's positive? : The remaining fragments show the intended quality. The photography is of a sometimes breathtaking beauty (especially the opening sequence). The acting of the leading cast (Bettany, Quaid, Walsh) is good (with tendencies to great), within the limitations of the script. I think this is the first movie I know of for which the parody got released before the "original": It's "Dogma"
What a pity about the wasted potential (in story and talent). I'm hoping and waiting for a "Director's Cut"
Glad to see you participating! This is the truly great thing about this forum. I have never seen a forum that matches our review writing output. 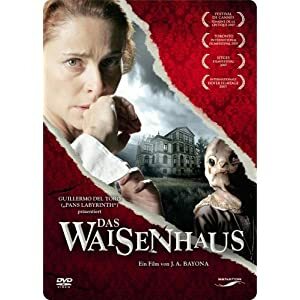 Guinevere Pettigrew (Frances McDormand), a middle-aged London governess, finds herself unfairly dismissed from her job. An attempt to gain new employment catapults her into the glamorous world and dizzying social whirl of an American actress and singer, Delysia Lafosse (Amy Adams). This was a nearly complete blind-buy (seen the trailer, took a look at the cast list, bought it) and I must say I was impressed. This is a movie for those that love old fashioned romantic comedies (and I mean old-fashioned), the whole construction of the story reminded me of the Oscar Wilde plays. The actors are all in their best mood and obviously had a lot of fun at their work (recommended special feature: B-Roll!) and by this make this a light, easy to follow, enjoyable and in it's full length entertaining feature. A special praise goes to the production design, for reviving the decadence of the "Art Deco". Not a great movie, but far above average and for sure worth watching (and if only for the delightful performances of Frances McDormand, Mark Strong, Amy Adams, Lee Pace and Ciarán Hinds). This was recommended to me by a friend who wanted to show me how good Asian animated movies can be ... Well he achieved the direct opposite. While from the technical POV this may be a great a movie, it lacks one thing I want to see in any movie I watch: A story worth telling! The whole script seems to be a slightly changed remake of A.I. - Artificial Intelligence, without ever reaching it's depth. The disappointment is even bigger when you realize that the (English) voice-over actors represent some of the creme de la creme of Hollywood (Charlize Theron, Donald Sutherland, Nicholas Cage, Alan Tudyk, etc), one would think that they normally wouldn't want their names attached to such a junk. Michael, Sorry to say your friend was wrong to say that this is a good Asian animated film because so far as I remember this was not an Asian production. The original Japanese Astroboy was a manga drawn by Osamu Tezuka in the 1950's and this was then made into an anime in the 1960's and 1980's but this film I'm fairly sure is American. As you can see from above I'm mainly into the science-fiction but there is much much more in all genres. but this film I'm fairly sure is American. Except for the character design (typical "anime"-style for my eyes), the movie seemed "American" to me too. The production company is "Imagi" though, which I always considered to be Asian. I think I'll give "Anime" another try, since I already own "The Animatrix" I'd just have to put it into my player. 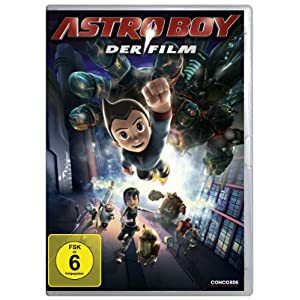 With a screenplay by Timothy Hyde Harris (Kindergarten Cop, Space Jam, Trading Places) and David Bowers, from a story by Bowers, the film is based on "Astro Boy," the manga created by Osamu Tezuka. Producer is Maryann Garger (Flushed Away). Cecil Kramer (Wallace & Gromit in The Curse of the Were-Rabbit), Ken Tsumura (Curious George), Paul Wang (TMNT) and Francis Kao (TMNT) are executive producers. Music is by John Ottman (Valkyrie). So this film would appear to be non-Asian, David Bowers is English the director of Flushed Away. I guess though that they wanted to keep Astroboy true to his manga beginings and therefore drew it in the style of Osamu Tezuka. Yes please try anime again for further ideas look at my Ghibli marathon which has my absolute favourite My Neighbour Totoro, and as Tom reiterates The Girl who Leapt Through Time is worth a look. 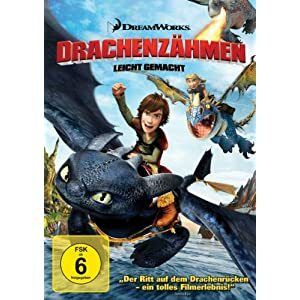 Long ago up North on the Island of Berk, the young Viking, Hiccup (voice: Jay Baruchel), wants to join his town's fight against the dragons that continually raid their town. However, his macho father and village leader, Stoik the Vast (voice: Gerard Butler), will not allow his small, clumsy, but inventive son to do so. Regardless, Hiccup ventures out into battle and downs a mysterious Night Fury dragon with his invention, but can't bring himself to kill it. Instead, Hiccup and the dragon, whom he dubs Toothless, begin a friendship that would open up both their worlds as the observant boy learns that his people have misjudged the species. But even as the two each take flight in their own way, they find that they must fight the destructive ignorance plaguing their world. This movie came with a lot of praise in advance, so I was somewhat skeptic if it could keep up with my expectations. To cut a long story short: It could do this easily. I wish I was more eloquent to describe this little masterpiece of modern animation. The story is kept simple, but every time you feel inclined to say it's predictable, it adds a little surprising turn. Not too much to distract from the mainplot, but always enough to keep your eyes glued to the screen. BTW: "Glued to the screen", the programming is simply breathtaking, in the flying scenes enjoy the clouds, it's the first time they are not coming around as cotton candy in the sky. Even though the programmers did a great job this movie does not drown in beauty, it's always and only there to support the plot. Other than for example "Ratatouille" where after the umptienth headshaking even the dumbest should have understood that they are now able to trace hair. The characters are simply gorgeous, you have to love them all. The sound is ... let's say it this way: Great! DreamWorks did it all correct again and once more set up a hallmark for other animated films to measure up against. If you haven't done so already: Watch it, you will not regret it. I saw this film in the cinema in 3D and quite enjoyed it. I'd say it's not yet up there with Pixar standards as far as animated films go, but Dreamworks do seem to be steadily improving. As you mentioned this one is visually stunning, I found the ending a little bland for my tastes but for the most part of the film I was hooked! I'm hoping to get this on blu-ray, maybe around Christmas. I can't wait to see what it looks like then. I'm hoping to get this on blu-ray, maybe around Christmas. I can't wait to see what it looks like then. 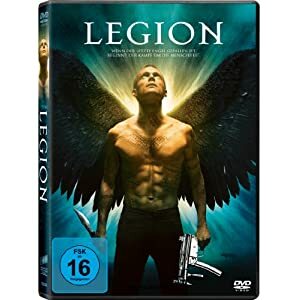 The German Blu has everything you need, the DVD at least is "Multi-Region" (2,4,5), so probably the same is correct for the Blu-Ray too. Kahless owns it so you can ask him. I can see how 3D adds to the fun in this movie, but it definitely isn't necessary to enjoy it. I have to agree, the end is somewhat too much candy on the top, obviously designed to calm down the kids again. But as said in "Stranger than Fiction": "Kill them all and you have a great story, give it a happy ending and it's average"
I usually go on a bit of a dry spell when it comes to the months leading up to Christmas. In the last two months I usually don't buy anything at all, then see how things turn out on the actual day. Also, my birthday is only 15 or so days after Christmas. So with those two days combined I usually end up getting a lot of gifts that I would have otherwise paid for myself if I didn't wait. I don't think 3D is really 'necessary' to enjoy any movie, except perhaps Avatar, as apart from the 3D visuals there really wasn't a lot else to offer there, but it certainly does look good in some films. I find that 3D looks great in the cinemas when it comes to computer animated films. Live-action films not so much, 3D often looks tacky with them. A woman brings her family back to her childhood home, where she wants to open a boarding school for handicapped children. Before long, her son starts to communicate with an invisible new friend. del Toro shows again that you don't need the budget of a medium sized country to produce a decent film. This film virtuously handles all the elements needed for a scary, spooky ghost story and still isn't one, or is it? The director leaves it to the audience to decide whether this is a ghost story, or a story about a mother losing her mind over the loss of her child, both is plausible and the conclusion you reach may change by a slight change of perspective. It's great how the script fools us with our expectations and shows that ugly is not necessarily an equivalent for bad, not even in a ghost story. One of the very rare movies you can watch over and over again and will always find new details, hints, ideas. 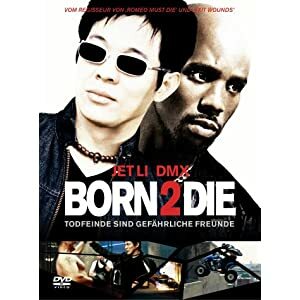 When his daughter is kidnapped and held in exchange for priceless diamonds, Fait (DMX), the leader of a crew of highly skilled urban thieves forges an unlikely alliance with a Taiwanese Intelligence officer (Jet Li) to rescue her. Their race against the clock to find the precious stones ultimately unravels a plot to distribute a deadly new weapon of war. This film comes in the tradition of Exit Wounds (with better acting, since there's no Steven Seagal) and Romeo Must Die and just like them it's a festival of martial arts scenes. The story comes along as a classical "No-Brainer" (and because of some severe plausibility leaks it's actually better to leave your brain in "StandBy), nevertheless this flick is highly enjoyable. If you like the movies above and/or flicks like Bad Boys this film is highly recommended to you.